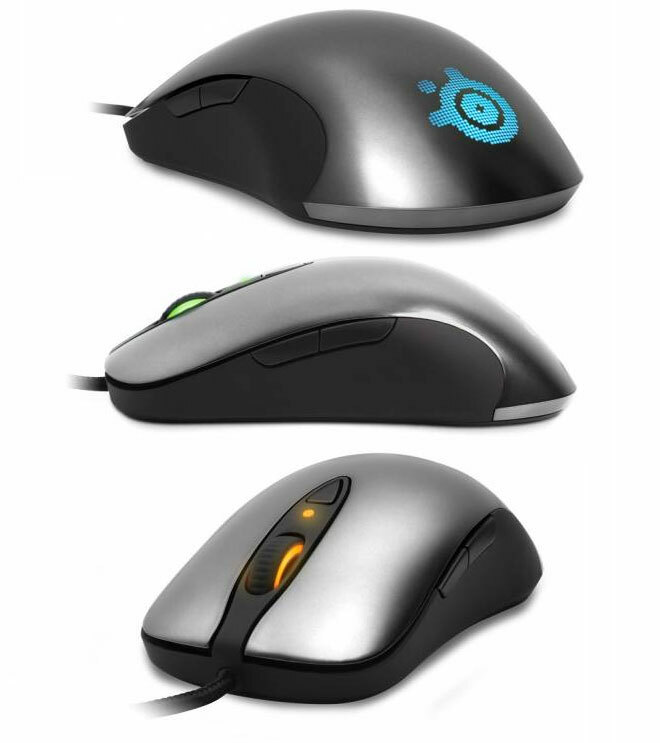 SteelSeries has started pre-order of the Sensei mouse. This gaming specific mouse tracks up to 150-inches per second with its 10.8 megapixel sensor, and uses a 32-bit ARM processor to calculate it all , so that your PC does not have to share its gaming juice with high end peripherals such as this. People in India can purchase the Special gaming mouse for a MSRP of $89.99 / €89.99, or like we did from http://steelseries.com for– €89.99 +€20.88 shipping. The devices go out 1st week of October. So you can book yours now if you cant wait for the company to officially bring it India – Side, wont happen till Q2 2012 anyway. · A 32 bit ARM processor, that powers sophisticated calculations to be done directly on the mouse – without the need for software drivers and without having to rely on the user’s computer. · Complete customization, from the buttons, macros and multiple profiles to the colors, and technology settings. · Illumination with 16.8 million colors choices to be programmed in 3 different zones on the mouse. · Sensitivity settings that can be changed in increments of one from 1 to 5,700 CPI, and an “overclocked” Double CPI feature that allows the user to go all the way up to 11,400 DCPI. · A 10.8 megapixel image correlation laser sensor at up to 12,000 frames per second and the ability to handle tracking movements of up to 150 inches per second. · An ambidextrous design with a metal, non-slip grip coating and is connected with a double braided nylon cord with a USB connector. · Simple plug and play; for the PC Gamers* who want advanced customization options, the Sensei is supported by SteelSeries Engine technology – save multiple profiles, create long and advanced macros with layers, keystrokes and precise timing. The Sensei Mouse is compatible with both Mac and PC; *SteelSeries Engine for Mac will be coming in 2012; for PC it is available now.